Also known as screening approach: The first thing you should know the candidates is a full curriculum for the exam NEET- UG. You can compare your approach with a curriculum board exam. It is useful for you if there is a common classes as you will not need to set up each of them separately. This will give you enough time to focus on the parts of the curriculum that are not covered. Also known as screening approach: The first thing you should know the candidates is a full curriculum for the exam NEET - UG. You can compare your approach with a curriculum board exam. It is useful for you if there is a common classes as you will not need to set up each of them separately. This will give you enough time to focus on the parts of the curriculum that are not covered. Making study schedule for the week: Until and unless you make a full and comprehensive timetable of how you want to study, and you will not be able to complete the curriculum. Planning for the week in advance. Knowledge of the chapters that need to set up from the beginning and chapters that need only review. Will work in this way will help you cover all parts of a unified approach. Allocation of time for each part and try to maintain it. Work on vulnerable areas: It may happen that you are very strong in one subject and the weakness in the other. Do not feel discouraged by him. To try and work harder on vulnerable areas to strengthen them. If necessary, seek help from a friend or a senior or take additional lessons to this thread. This will help to overcome the fear of weakness effectively. 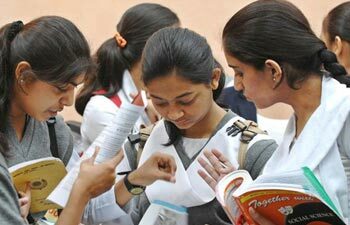 The practice of fake test papers: one of the biggest obstacles to examine NEET - UG is lack of time. Candidates have to finish the 180 questions in 180 minutes (three hours). This means that they can give a maximum of one minute for each question. Time management is a mandatory skill that is required for this exam. While practicing at home, make sure that you keep the amount of time in mind. Try to resolve the questions in less time so you have some time for final review as well. Do not fall for guessing: Many of the candidates have a tendency to apply guessing the questions they do not know. However, it may be risky in this case as there are negative on the occasion get the wrong answer. It is recommended that leaves quite a question if you do not know the correct answer.